The other day as I was reading my scriptures and using a few of the colors to do some highlights when I realized that I wasn't fully utilizing the entire pallet of colors. 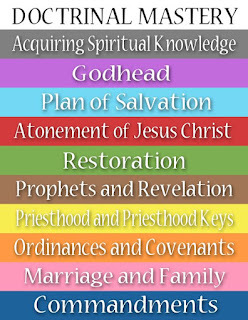 I the Gospel Library app there are 10 colors. Each of these colors can be used in the underline, highlight, or text color mode. 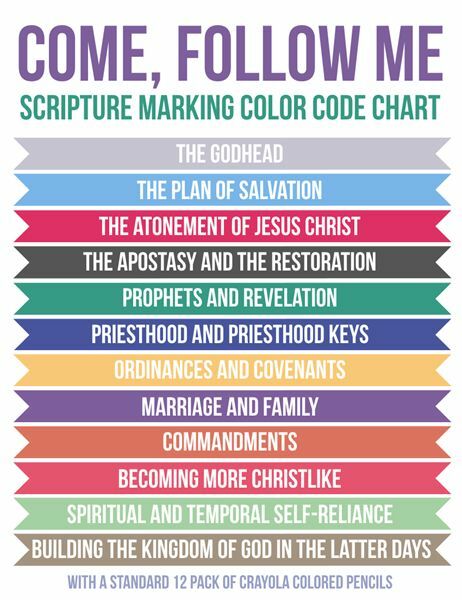 This "Come, Follow Me" color code seems to be all over Pinterest. I'm not sure where it came from, but it is based on the 12 colors in a small box of crayons. My color code has evolved over the years. 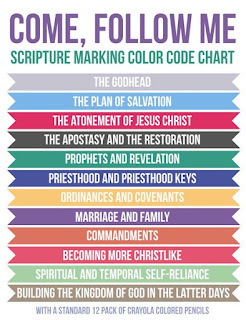 I used to mark my scriptures much more colorfully than I do now. 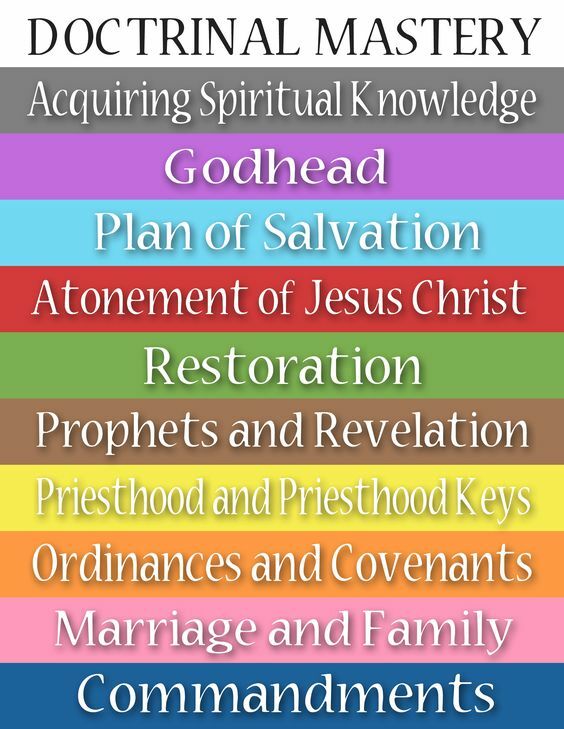 When I picked up a new copy of the 2013 LDS Scriptures and started transferring some of my highlights I found my self doing less bold and fewer colored highlights. I pretty much use a red pencil to underline in my paper scriptures with an occasional yellow highlight. After a bit of thinking, comparing, and pondering I decided to use the color code below for my electronic marking. At this point, I'm not sure what to do with the brown and the two blues. I'll leave them open and see if I find a use for them.